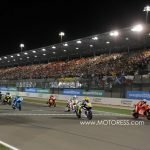 The FIM Fédération Internationale de Motocyclisme (International Motorcycling Federation) sanctions 90 associations in Europe, North America, Latin America, Africa, Asia and Oceania. The organization is also keen to support and encourage the only worldwide women’s motorcycle ride day International Female Ride Day. The FIM has a long history in motorsport that stems back to December 21, 1904, then called the FICM. The FIM/Federation as we know it today was officially renamed in 1949 becoming the Fédération Internationale Motocycliste (FIM). This was the very same year began the start of the most prestigious motorcycling competition: the Road Racing World Championship Grand Prix or MotoGP as we know it. In 1951, the FIM was recognized by the Union of International Associations as a non-governmental international organisation. Since 1959, the FIM has been a member of the Federation of Semi-Official and Private International Institutions based in Geneva (FIIG). We are pleased to see their support for the event close to all women riders hearts no matter the motorsport discipline. 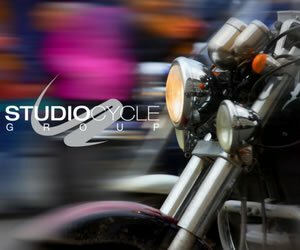 The campaign International Female Ride Day supporting women riders, created by founder of MOTORESS and former supersport road racer, Vicki Gray. MOTORESS March press info on FIM website (English). Motor Maids Cross Border Ceremony for International Female Ride Day!